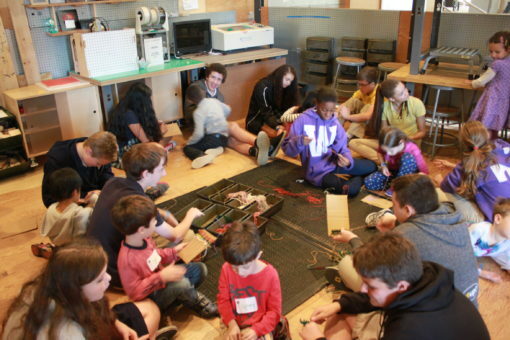 A couple of weeks ago a group of Kindergarteners and their Eighth Grade Buddies visited the Museum to explore the process of weaving. They were furthering their exploration of the history of Native Americans by learning some of the culture’s creative processes. 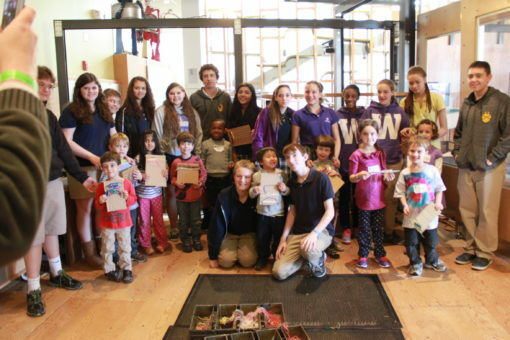 The Eighth Graders and Pre-K students built their own cardboard looms and practiced weaving with pieces of yarn. 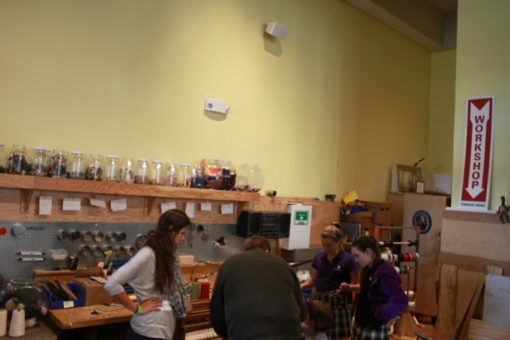 They also got a chance to explore our pedal loom with some help from their teachers. It was interesting to transform our workshop into a weaving themed space. This class was a lot of fun to work with. Their Technology teacher even got in on the action. He expressed his interest in purchasing a loom for his classroom so that kids could physically learn about binary programming.